Albuquerque International Balloon Fiesta - Family Go Time!Family Go Time! The Top Theme Parks in Every Region of the U.S.
On the chilly Fall mornings in Albuquerque, New Mexico during the first two full weekends in October, something absolutely spectacular happens. 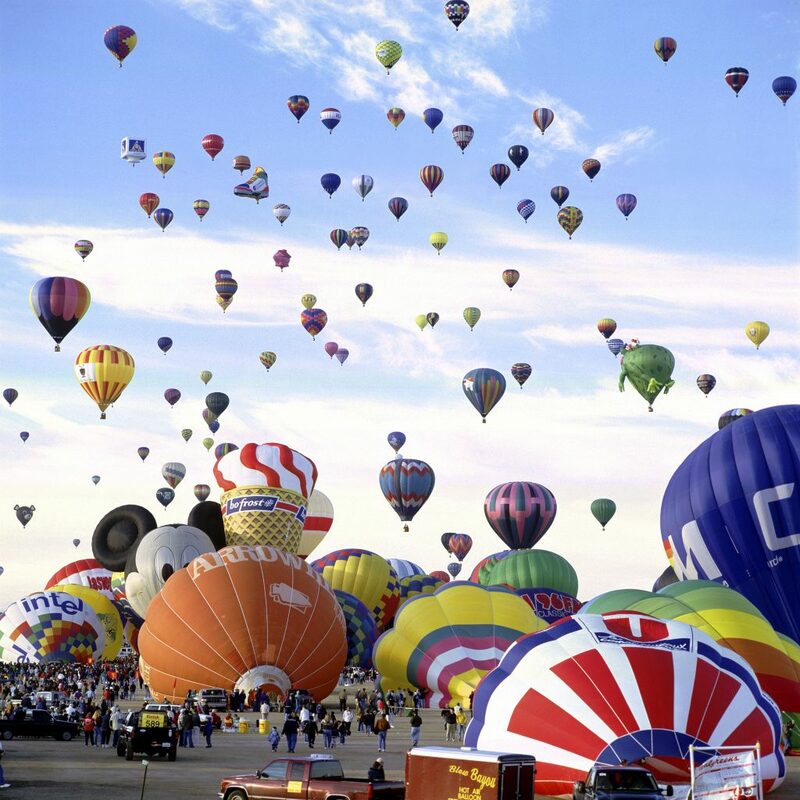 More than 500 colorful hot air balloons take to the skies over this beautiful Southwestern city for one of the most photographed spectator events in the world: The Albuquerque International Balloon Fiesta. There are few good reasons to get up at 4:00AM, and even fewer to get the kids up at such a pre-dawn hour, but the sight of hundreds of balloons dotting the picturesque Albuquerque sky is definitely one of them. 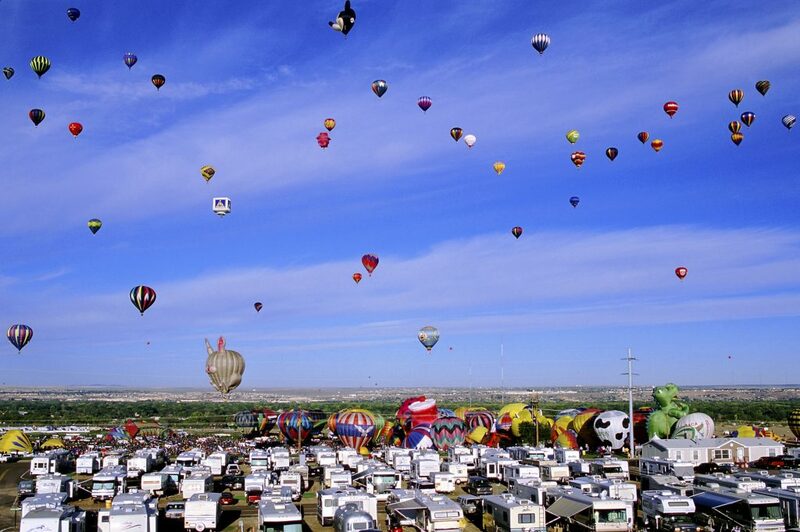 Balloon Fiesta is a 9-day long event starting on the first full weekend in October. 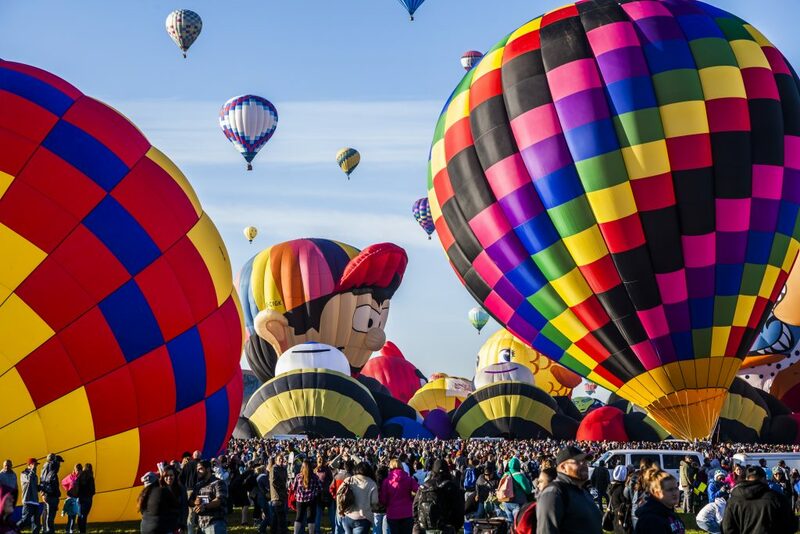 On the weekends, just before sunrise, weather permitting, over 500 pilots and their crews spread out across the field and unpack their balloons and baskets, shooting huge flames in to the pre-dawn sky. 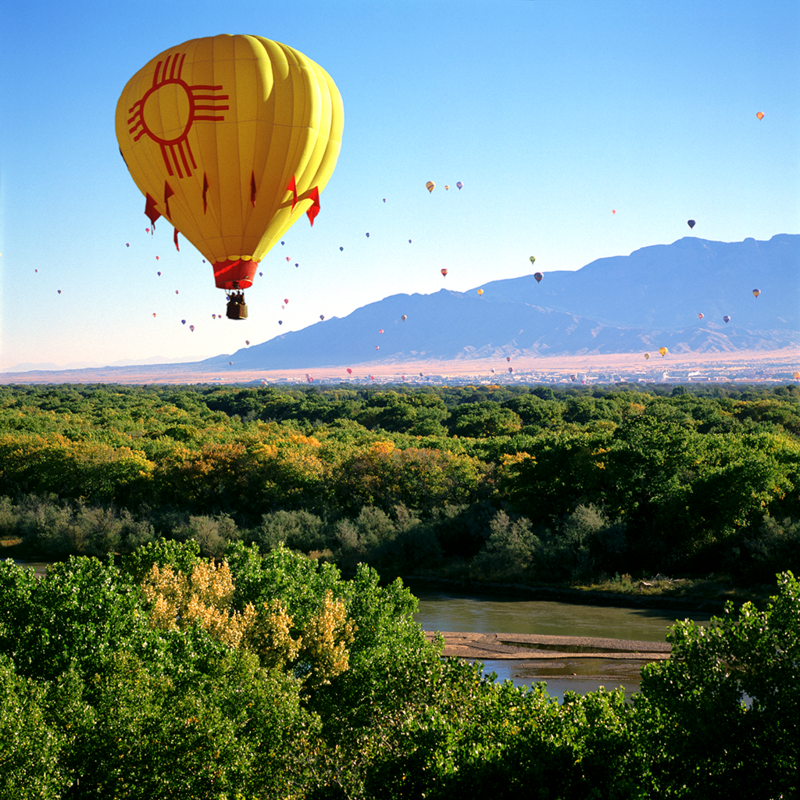 Dawn Patrol lifts off first to check the winds just as the sun comes up over the Sandia mountains to the East. If the winds are good, the rest of the pilots start inflating their balloons and take flight. This is called a Mass Ascension. During the rest of the week, competitions are held where pilots fly to targets and drop markers to score points. Special shape balloons are a family favorite and come in all shapes and sizes. Bees, fish, cows, dogs, birds, shoes, dinosaurs, penguins, boats, and plenty of other fun special shaped balloons participate in several “Special Shape Rodeo” events throughout the week. These are crowd favorites and bring smiles to children and adults. In the evenings, the pilots return to the field to put on a show as the sun sets. 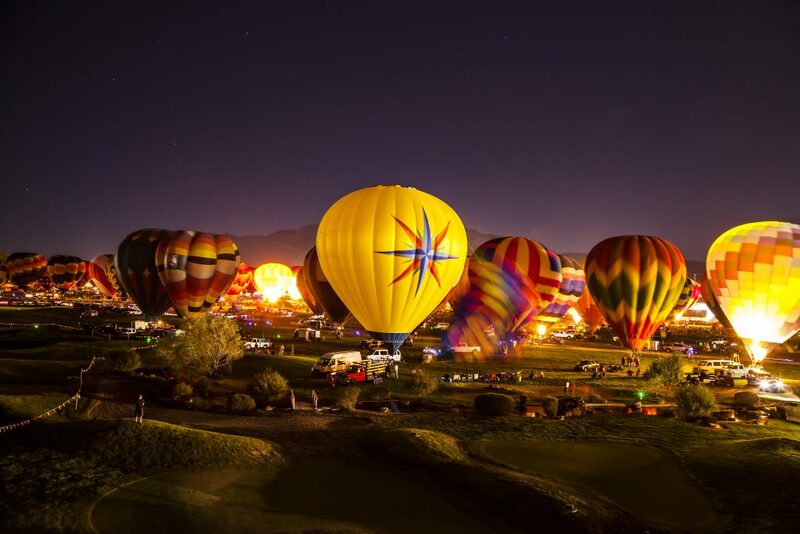 During the evening “Balloon Glow” events, balloons stay on the field and light up in an amazing show of colors and light. Just South of the launch field is a massive RV park that comes to life during the 9-day event with hundreds of RVs. Reservations fill up quickly a year before the event, so book early! Surrounding hotels and RV parks also fill up quickly.